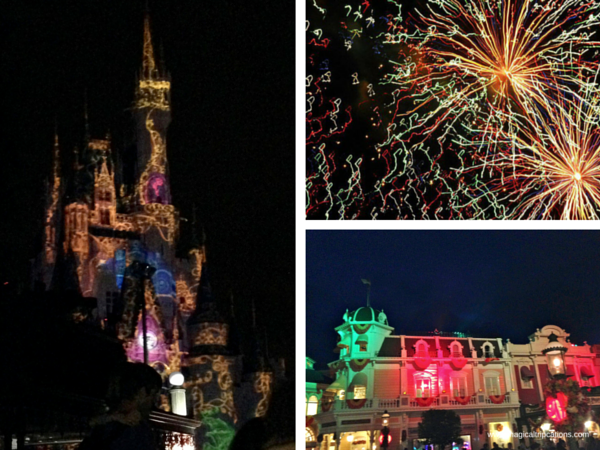 Holidays are celebrated in a big way at Walt Disney World. The parks are decked out with beautifully themed decorations and some holidays even have a special party. 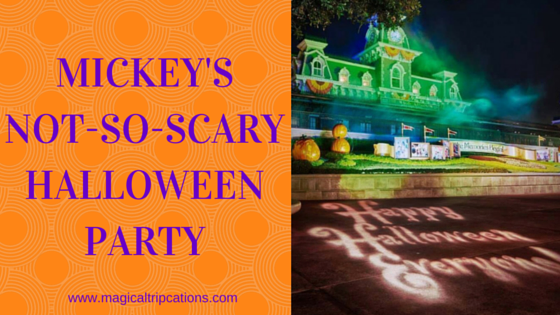 One of the most spooktacular and hauntedly rated events is Mickey’s Not-So-Scary Halloween Party held at Magic Kingdom on select nights in the fall. The party is a special ticketed event and takes place after hours when Magic Kingdom closes to all except those that have a party ticket. 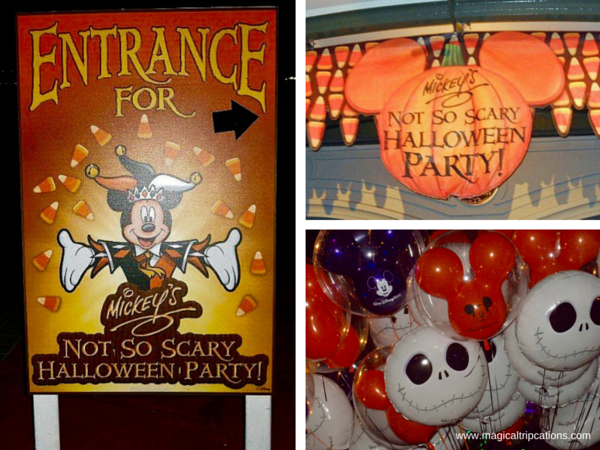 Have you ever thought about attending the Mickey’s Not-So-Scary Halloween Party (MNSSHP)? Or, not even sure what it is? Is it worth the additional cost? Is it scary for kids? What’s included? Let’s dig in and find out what the BOO is all about! Photo credits: Erica E. and Jennifer J. One of our team’s favorite activities is Mickey’s Boo-To-You Halloween Parade and it only takes place during the MNSSHP! 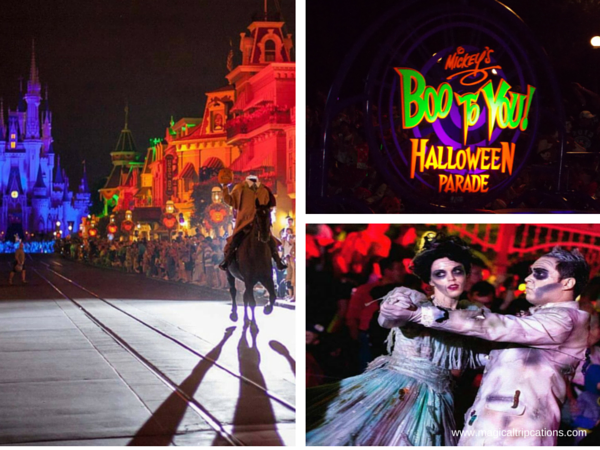 The parade is led by the grim grandmaster, the Headless Horseman, who ushers in a stream of fright friendly floats and a cavalcade of Disney Characters decked out in their Halloween best. Featured prominently in the parade is the hauntingly infamous Haunted Mansion gang who step beyond the mansion to entertain and delight! A word of caution: some of the characters featured in the parade are “zombie like” having just departed their haunts in the Haunted Mansion so, beware if your children are afraid of the attraction. These ghostly characters only appear in a portion of the parade. Mickey and the gang are heavily featured on floats throughout the parade. 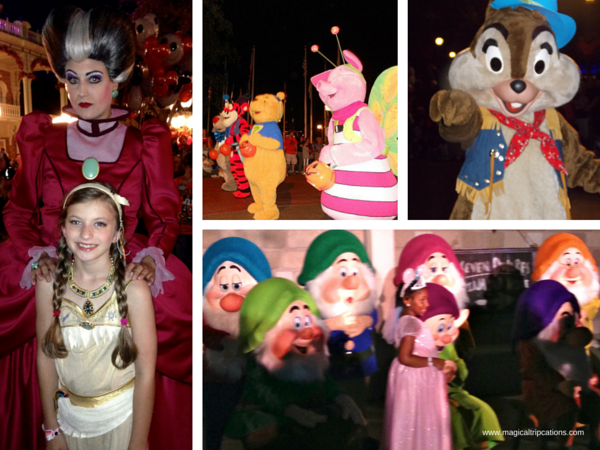 The Mickey’s Boo-T0-You Halloween Parade is scheduled twice during the night and is not to be missed! Photo credits: Lizeth L. and Jennifer J.
HalloWishes is hosted by the Haunted Mansion Ghost Host and is filled with fantastic fireworks set to a soundtrack of Disney creepy classics. To kick off the fireworks extravaganza, Cinderella Castle is transformed with a colorful projection display fit for a wickedly fun event and some of Disney’s most notorious Villains stop by to entertain you and do their best to steal the show! Villains such as Cruella de Vil, Ursula, Jafar, Maleficent and Oogie Boogie light up the stage with their antics. Many have proclaimed that HalloWishes to be THE BEST of the best fireworks in all of Disney World! The show only occurs once during the party and is not to be missed. Photo credits: Jennifer J. and Erica E.
Join the 3 Sanderson Sisters and a cast of Disney Villains for this spectacular stage show in front of the castle and see what spell they cast on Magic Kingdom! The show runs several times throughout the evening so check your times guide for show times. Following the performance, the Villains are available to mix and mingle with you for fun photo ops! We suggest that you line up early in the evening to snap photos with any of the special meet and greets as this is one of the biggest perks of attending the party and is quite popular. 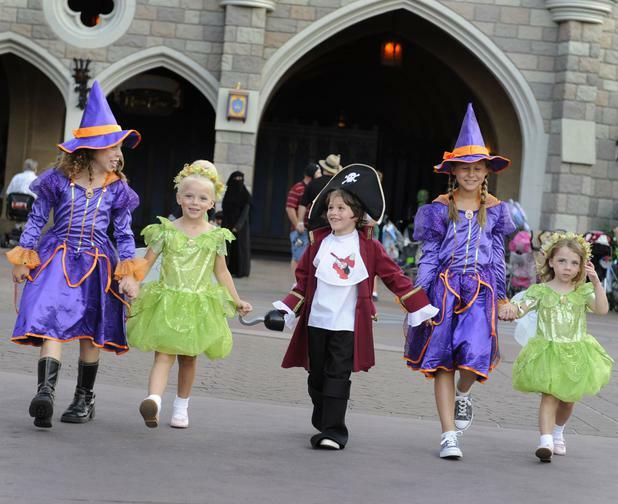 Other Disney Characters can be found throughout the park decked out in their colorful Halloween costumes or in their designated homes including the princesses who bring along their princes for extra special photos! Another huge perk for attending the party is shorter lines for your favorite attractions! Many of the attractions remain open during the party and with this limited-ticket event, the lines are shorter allowing you time to enjoy the frights and sights! From cupcakes to specialty drinks, you will find something pumpkin or candy corn flavored and decorated in Halloween flare available to purchase. Limited edition themed merchandise is also available to purchase throughout the park. So, is it worth it? To our team of travel planners, a resounding yes! 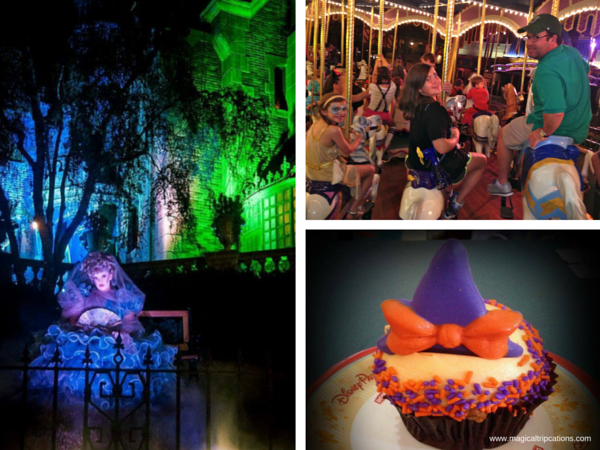 To see and experience Magic Kingdom in this spooktacular way is fun and absolutely memorable. Mickey’s Boo-To-You Halloween Parade is by far one of our favorite parades and the special characters that make their appearance during the party is so much fun! Interacting with the Disney Villains ranks as one of our all-time magical moments and catching a glimpse of the Seven Dwarfs was pretty awesome. Mickey’s Not-So-Scary Halloween Party is definitely an event you need to put on your Disney bucket list. For more information, check with your Magical Tripcations Travel Planner and they can assist you in planning a hauntingly fun time!